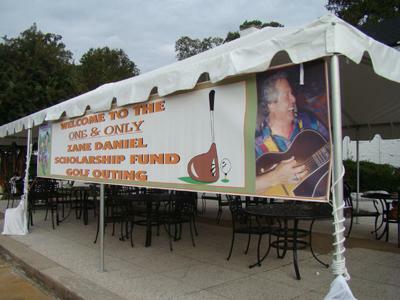 October 22, 2007 was a day to remember when Holston Hills Country Club in Knoxville, TN hosted the One and Only Zane Daniel Scholarship Fund Golf Outing. Daniel, a well-loved, prominent Knoxville attorney, and one of Con's dearest friends, lost his battle with leukemia in August of 2006. Preceding the tournament were numerous committee meetings to plan the event. The committee consisted of Con, Ray Hand, Barry Litton, Teddy Phillips and Zane's two sons, Jeff and Todd Daniel. Picture in the top photo at left are L-R: Phillips, Todd Daniel, Hand, Con, and Litton. Jeff and Todd have proudly followed in their father's footsteps and are respected attorneys in Knoxville. 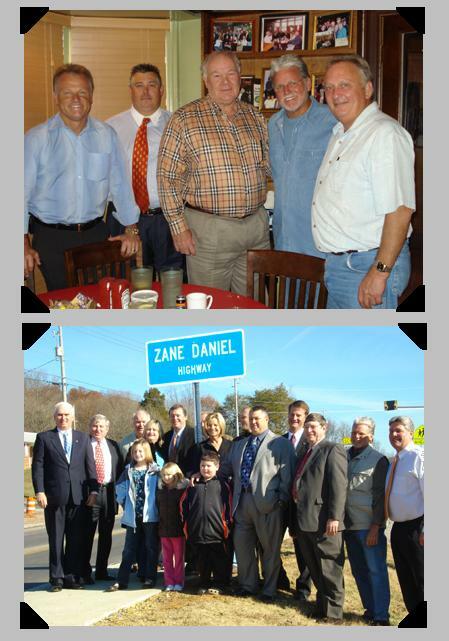 A few weeks after the event there was great excitement and pride when a portion of TN State Route 131 (Emory Road) in Knox County was named to honor Zane. Several of Zane's family members were in attendance at the ceremony including Zane's wife Norma, his sons, Jeff and Todd, and his brother, Attorney Creed Daniel. Congressman Jimmy Duncan was proud to do the honors, with Senator Tim Burchett, State Representative Harry Brooks and Knox County Sheriff J.J.Jones also on hand, as were committee members Ray Hand, Barry Litton and Con. The tournament was organized by many of Zane's friends and family to raise money for an endowment in Zane's name that would help struggling law students at the University of Tennessee, Daniel's alma mater. The event embodied Zane's zeal for golf, music, great friends and good fun. 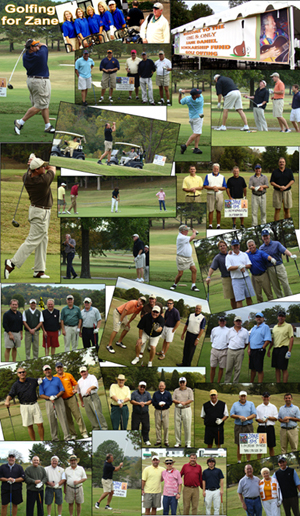 At left are just a few of the many faces that made up the teams competing in the outing. Following the golf outing, a party was held to further celebrate Zane's love for life. An auction was also held to aid the scholarship fund. 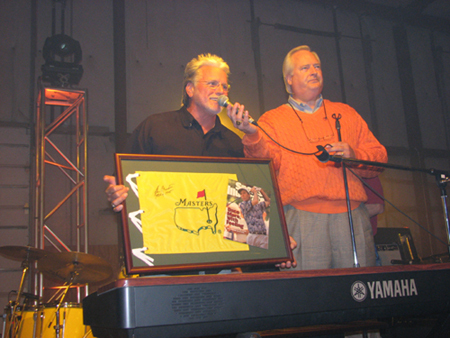 Among the items auctioned were a basketball signed by UT Men's Basketball Coach Bruce Pearl and UT Lady Vol Coach Pat Summitt, and two framed flags autographed by Ben Crenshaw, two time winner of The Masters in Augusta. At left Con helps get the bidding started on one of the Crenshaw items - Sam Furrow of Furrow Auction Company is the auctioneer. 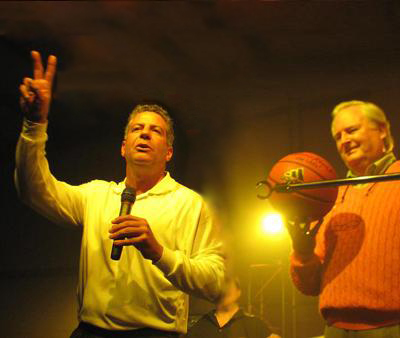 University of Tennessee Men's Basketball Coach Bruce Pearl gets in on some of the action. 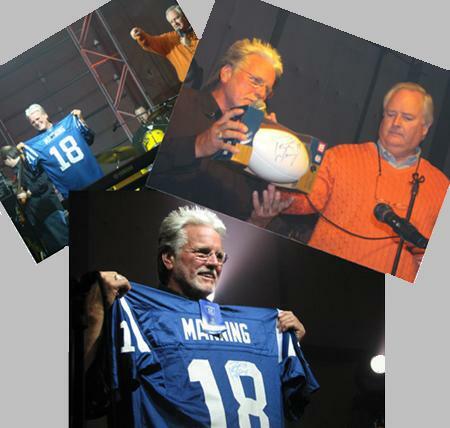 Also included in the auction was a football and a jersey signed by Indianapolis Colts Quarterback Peyton Manning. Manning was also a good friend of Zane's. After the auction, the entertainment began. Each person that got on stage was a friend of Zane's. First up - David West and the Cider Mountain Boys. One of Zane's favorite things to do was to stop by Ciderville and jam with the boys. 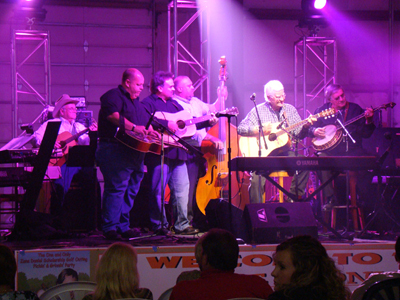 David and the guys are legends in the Knoxville area and specialize in bluegrass and traditional country music. From far left - Rodeo Rowdy, Phil Leadbetter, Steve Gulley, David Harkleroad, Luke Brandon, and David West. Then Steve Gulley stepped up to sing a couple of songs. 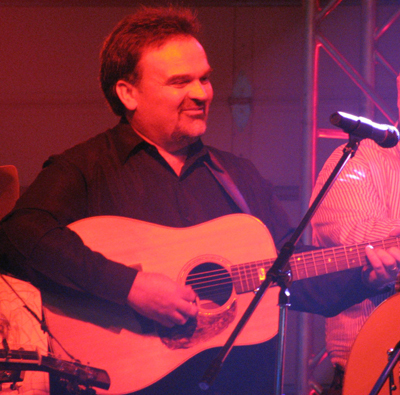 Gulley and Leadbetter are part of the hot bluegrass group Grasstowne. 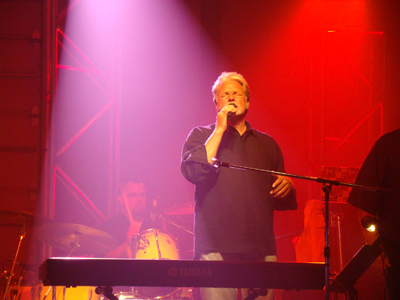 Steve is an awesome singer and songwriter. Next up was The Chillbillies. 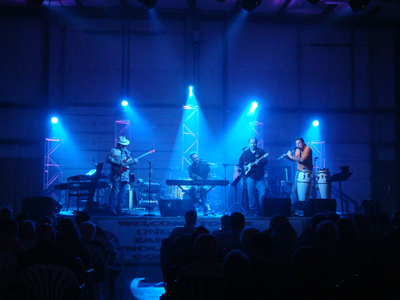 A local favorite, the Chillbillies perform crowd-pleasing hits from the 60's 70's and 80's. Then Con and his band took the stage. Everybody in the band, and Con's brothers and sister all knew and loved Zane. In addition to the great music, Con lovingly shared a couple of Zane stories with the crowd. 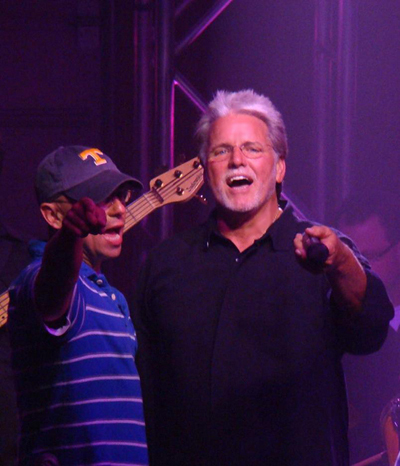 We were all in for a big treat when Con's good friend Kenny Chesney surprised everyone on stage. He sang "Oh, Girl" with Con and the crowd loved it! Then the guys teamed up for one of Zane's favorite's, "Rocky Top"! Chesney was also among Zane's many friends. He became great friends with Zane's sons, Todd and Jeff while they attended school together. 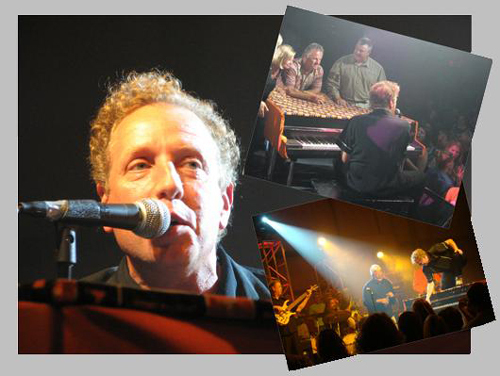 Chesney shared a lot of fun times and good music with the Daniel family over the years. He embraces that friendship to this day. Rounding out the talented lineup was another great friend of Zane's - rockabilly sensation, Jason D. Williams. Jason was one of Zane's all-time absolute favorite entertainers, and the lively performance he gave at the party would have had Zane cheering him on all the way!